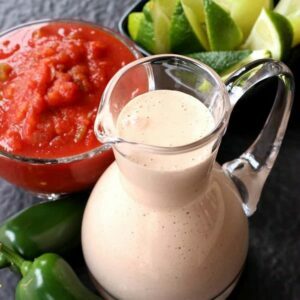 Homemade Creamy Caesar Dressing beats any salad dressing you could ever buy! This dressing has totally converted my into a salad fan! Salad? Nope, not so much for me. I’ll eat certain salads if I have to, like if they have steak in it or something like that…but it’s definitely not something I’d seek out to eat. Or put it on a stick like these antipasto salad kabobs and you know anyone will eat it! 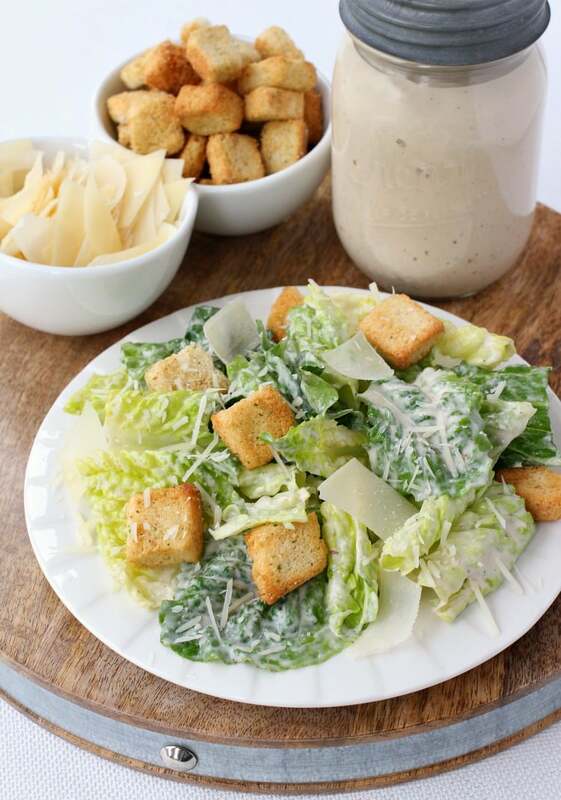 Until we made this Homemade Creamy Caesar Dressing. 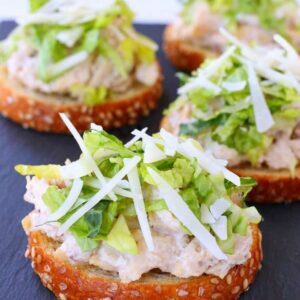 It was Christie’s idea to make her own version of this since it’s coming up on Christmas Eve and every year her dad makes a caesar salad with the beef wellington. And every year…I pass. Not on the beef wellington obviously, but the salad – pass. I fill up on everything else. But obviously if we’re making something to go on the site here, I have to at least try it out. And then what happens? I usually end up having a new favorite food. Just like this one. I think I ate more salad the week we made this than ever in my whole life. 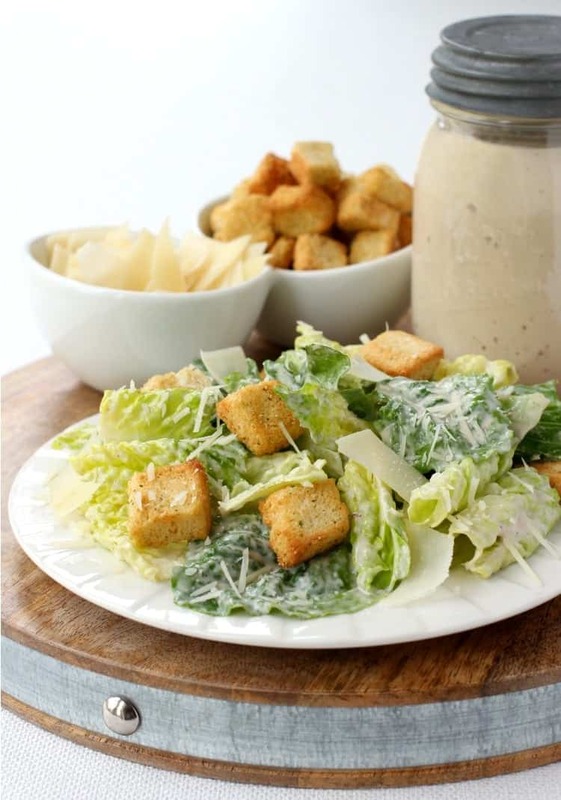 The creamy dressing, the crunchy croutons…you can’t beat it. By the end of the week we did grill up a steak and throw it on too…even better. Christie had a little twist to this dressing. Stay with me, it might sound weird but she added raisins. Raisins in caesar salad dressing might sound strange but she had a method to her madness. We didn’t have anchovies and she also figured that buying anchovies might scare some people away…but she wanted to add something to give it that caeser dressing color and also ad a little sweetness. And it worked. So no need to buy scary anchovies. Blend until very smooth and pour it out into a bowl. It couldn’t be any easier. Now, if you really aren’t in love with raisins, just passthe dressing through a fine strainer and there won’t be a raisin bit to be found. 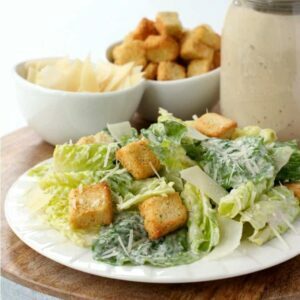 Just creamy, smooth caesar dressing. 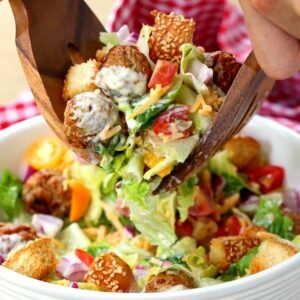 We’ve also made homemade croutons when making this salad, which I highly recommend doing. Just cube up a baguette (a day old is great) toss with olive oil, salt and pepper and a little garlic powder and bake until crispy. To turn this salad into a main dish – grab some grilled chicken or steak or even some shrimp and throw it on. That’s my idea of a salad for dinner. All I know is that I can’t wait for Christmas Eve to get myself some caesar salad this year! 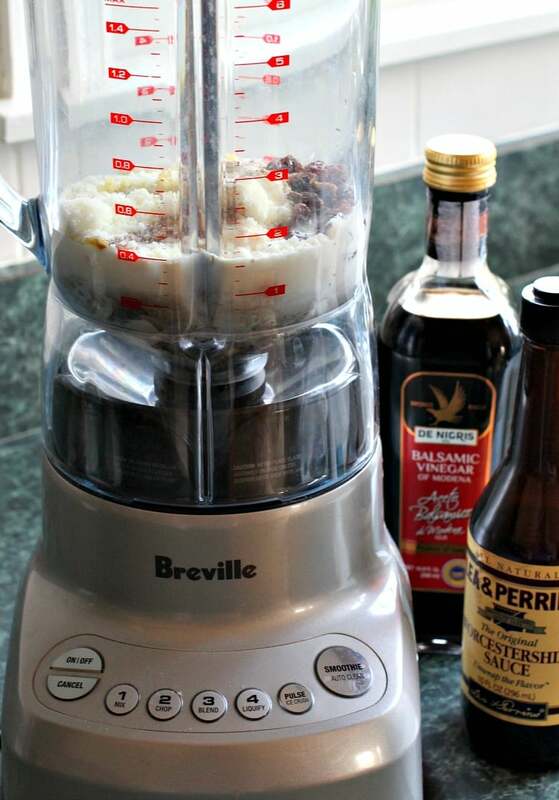 Add all the ingredients to a blender and blend until completely smooth. Pass through a fine strainer to remove any raisin bits if desired. Store in a container for up to a week in the refrigerator.